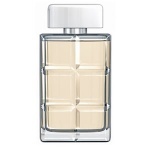 Boss Orange Man Aftershave is a new fragrance experience from Hugo Boss. Boss Orange Man invites you to liberate yourself from expectations and discover the world of Boss Orange Man. A world that is full of energy and character, an honest scent that allows you the freedom to be yourself, anytime of the day and night.